Today on Listen Up! We celebrate Thanksgivukkah a few days early. The mash up of Thanksgiving and Hanukkah is happening so the Listen Up! show is burning the midnight lamp, giving thanks and love. We will enjoy music and the making of a Sweet Potato Bourbon Noodle Kugel. (click link for recipe). G-Town Radio kicked off its annual appeal recently. 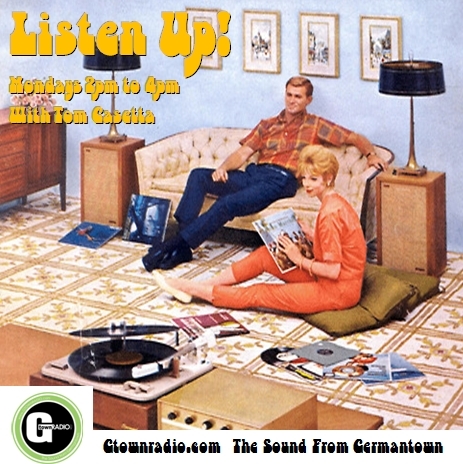 G-town Radio is a non-profit, community internet radio station. Accomplishing our goals requires hard work and it also requires money to keep serving the community. I urge you to help by making a one-time or continuing donation. Your contribution goes toward supporting our mission to reach more listeners with our diverse array of programs and community outreach. Please donate and mention Listen Up! Wimple Winch – Pumpkin Pie – Various ‎Artists: Incredible Sound Show Stories Vol.3 – 200 Feet Deep In A Purple Idea – 196? Zaky Soloman Isaac – Yom Simha – Various Artists: Shir Hodu: Jewish Song from Bombay of the ’30s – 193?